A conventional bridge is a fixed (non-removable) restoration and is an excellent way to replace missing teeth. There are several types of bridges. 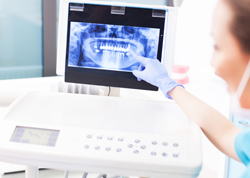 You and your dentist will discuss the best options for your particular case. 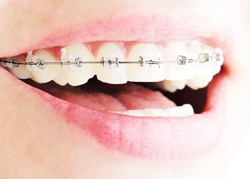 The traditional conventional bridge is the type mostly used and is usually made of porcelain fused to metal. This type of bridge consists of two crowns placed over adjacent teeth either side of the space and one, two or more artificial porcelain teeth are connected between the two crowns. This gives the appearance of natural looking teeth that function much like your own teeth as they are attached permanently in your mouth and are not removable. Dental bridges are highly durable and will last many years when correctly placed maintained and cleaned. A Resin Bonded bridge is a high strength restoration that is used to replace a missing tooth by an artificial porcelain tooth that is connected to the adjacent tooth via a metal wing retainer. By comparison, this type of bridge is a much more conservative approach than a conventional fixed bridge with minimal if any preparation of the adjacent teeth. Its limitation lies in the strength of the bond to the tooth and whether it can withstand the stresses of eating and possibly grinding. Your prosthodontist will advise you on whether this is a suitable restoration for your missing tooth or teeth. An alternative to fixed bridgework are removable dentures. Dentures, also known as false teeth are prosthetic devices constructed to replace missing teeth. They are supported by the surrounding gums and palate of the mouth. Conventional dentures are removable however, there are many different denture designs, some of which rely on bonding or clasping onto teeth or dental implants. There are two main categories of dentures, the distinction being whether they are used to replace some missing teeth called partial dentures or those used to replace all missing teeth called complete dentures. 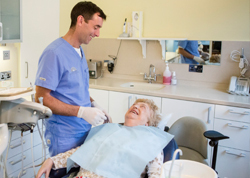 A Prosthodontist specialises in making sure that the best type of denture is made to fit your mouth as perfectly as possible and make sure that your denture looks like healthy teeth and not to look like dentures. 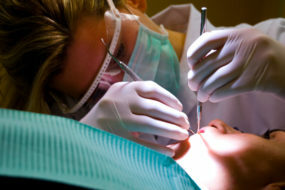 Dr. Kevin Gilmore at Harcourt Dental Clinic has extensive training all of the above areas.